BARCELONA, ESP – Today ASUS is launching a smartphone that is designed, according to the speaker at our prebriefing, to make it look like the user is holding an iPhone X. 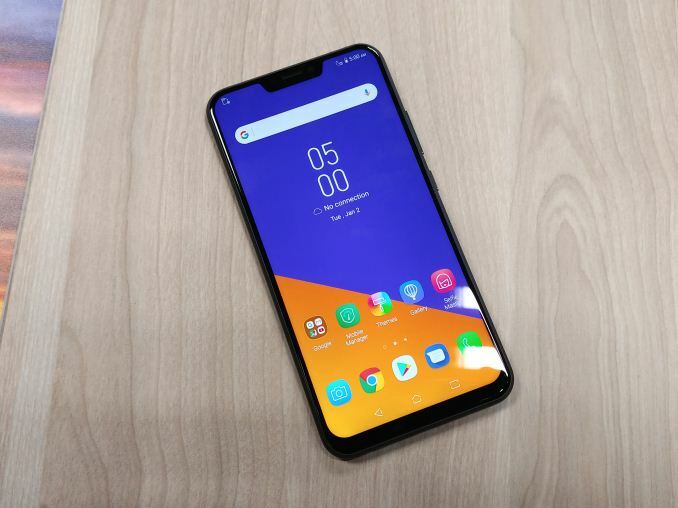 The new ASUS ZenFone 5, part of the ZenFone 5 family, comes with a notch. Apparently this is what the company says that its customers want: the ability to look as if you have an iPhone X, but have something else. Aside from the notch, ASUS’ ZenFone 5 launch today actually comprises of three different devices: the ZenFone 5, the ZenFone 5 Lite (called the ZenFone 5Q in most of the world) and the ZenFone 5Z. 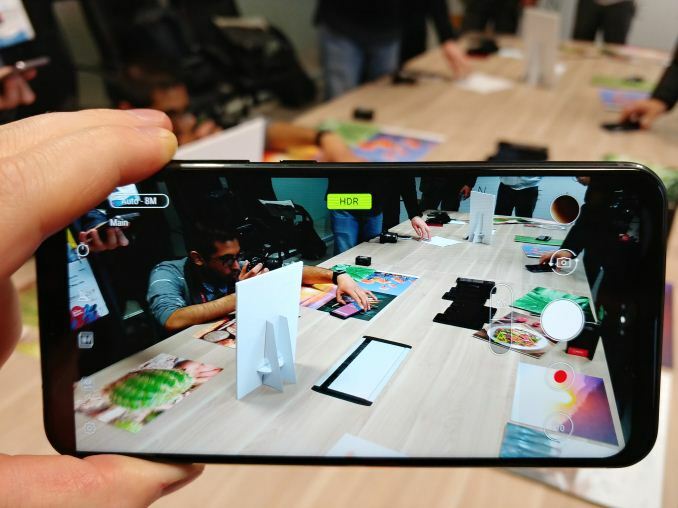 We were given a pre-brief of the first two devices, with the flagship ZenFone 5Z only being revealed at the press event at Mobile World Congress. 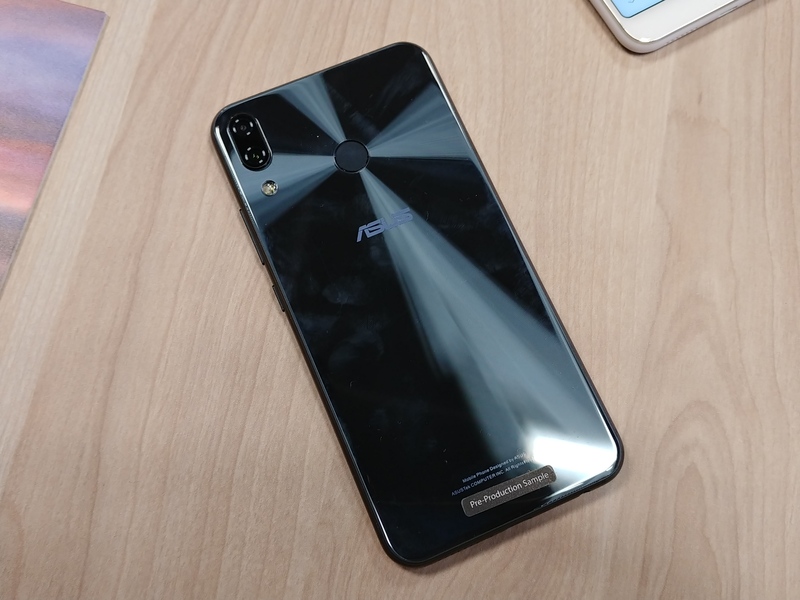 ASUS’ history with the ZenFone family has gone through highs and lows, from the ever popular ZenFone 2 through to the mass of dozens of ZenFone 3 variants that were difficult to keep track of. For ZF5 ASUS is sticking to three, and the standard ZF5 is set to sit in the middle of that stack. Despite sitting in the middle, ASUS was keen to point out some of the high profile features. 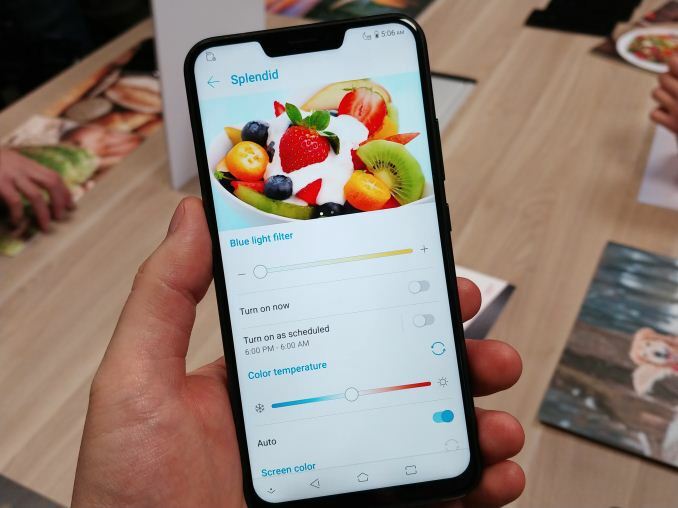 The display specifications involve a 6.2-inch display, listed as a 19:9 aspect ratio, and a Full-HD+ resolution (2160x1080). ASUS is quoting 500 nits of brightness, a 1500:1 contrast ratio, and support 100% of the DCI-P3 color space. The display also comes with Glove Touch support, which can be enabled through the settings. ASUS has supposedly implemented AI here, as part of its AI strategy, such that the system can use an onboard RGB sensor and apply screen color/brightness adjustments to react to ambient lighting. We were told that this goes beyond just regular brightness and dimming in bright light, but when pressed, we were told that this ‘artificial intelligence’ feature was not based on any form of machine learning. More on this later. Aside from the display, ASUS wanted to highlight its camera solution. The handset has a dual rear camera setup, with the second camera being a wide-angle lens. The main rear camera is a 12MP Sony IMX363 sensor, with an f/1.8 aperture, 1.4 micron pixels, and OIS/EIS. The secondary rear camera is just listed as an 8MP unit with F/2.2 aperture and a 120-degree field of view. Underneath is a fingerprint sensor. 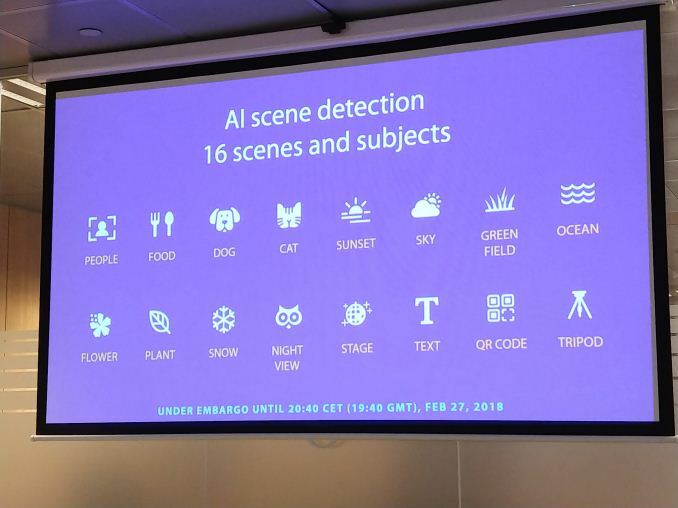 The rear cameras are combined with machine learning software, which will detect up to 16 different scenes and objects, including people, food, snow, stage, flowers, text, and others. The system will apply a series of color saturation, white balance, exposure, and sharpness/noise adjustments to the camera settings to provide a better shot. On top of helping with taking shots, this AI is going to be combined with another AI related to photo learning. For post processing, the system will offer a number of suggested edits to the picture, and ask the user if they want to accept the changes. Over time the idea is that the system will understand the preferred settings of each user for each different type of scene and use them to help manage the pre-shot AI. The front facing camera is an 8MP unit as well, but with f/2.0 aperture. This camera will be used for ASUS’ Face Unlock feature, which was explained as being important for environments that use gloves a lot (our presenter was based in the Nordic countries). On the SoC side, the ZF5 is using a Qualcomm Snapdragon 636 processor, which has eight Kryo 260 cores running at 1.8 GHz, built on Samsung’s 14LPP process, and with Adreno 509 graphics. This SoC will be paired with up to 6 GB of LPDDR4X, and up to 128 GB of storage. ASUS was keen to point out the audio functionality, with dual NXP9874 smart amps in place – one for each speaker. 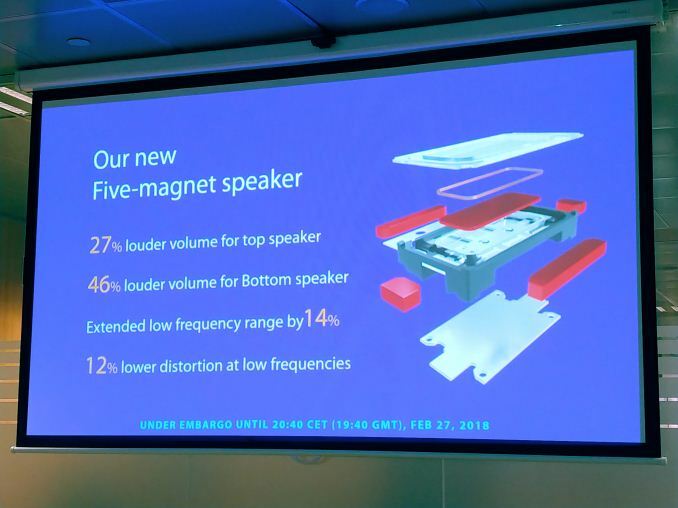 The effect in person over the previous ZenFone 4, and some other flagship devices, was substantial for speakers in a regular position for a smartphone. ASUS also stated the ZenFone 5 as the world’s first smartphone with DTS Headphone X support, providing a 7.1 virtual surround sound. These features tie into ASUS’ AudioWizard tool that offers different listening profiles depending on what headphones are used – an external audio tuning company has enabled profiles for over 400 types of commercial headphones and when enabled on the ZF5 will adjust the frequency response accordingly. There is also a personal 60-second test to help the system adjust. 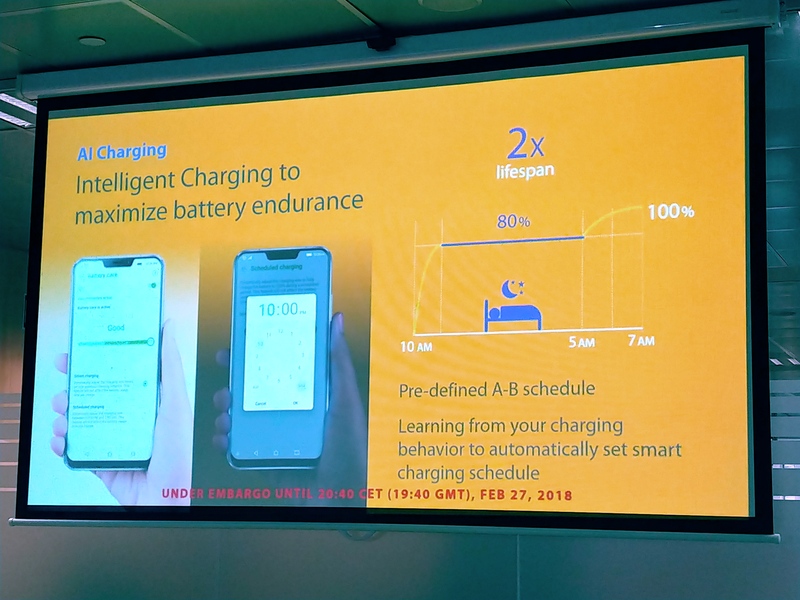 Another feature is ‘AI Charging’, the idea that most users charge their phone every night at a similar time, so the system will learn the usual method and adjust the charging profile to match. The key here is that batteries last longest when they are mostly charged, rather than fully charged. So rather than spending the first two hours in the night charging, and staying at 100% the next six hours, the system will hold the battery level at 80% and then push to 100% near to when you are expected to rise. This is meant to be implemented through machine learning, and can take up to three weeks to learn. For users with a regular schedule, this might work well – although I can imagine the frustration of having to wake up early one morning and only finding the phone 80% charged. ASUS has included a feature called ‘AI Boost’, which has nothing to do with machine learning. From what I was able to determine from the marketing team at the pre-brief, this feature enables all the cores to run locked at their peak frequency, which has the potential to boost performance. ASUS decided showing benchmarking results of Antutu was the best strategy here, with a +50% performance jump. We performed a quick test on the Jetstream benchmark, which showed an 18% performance gain with the mode on. 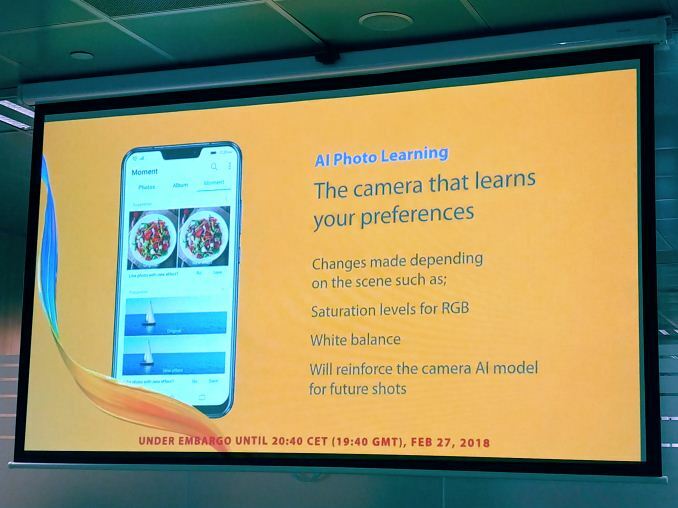 The fact that this tool has nothing to do with the definition of artificial intelligence or machine learning is indicative of ASUS’ smartphone marketing team new strategy of calling everything AI. This reminds me of a very specific comic strip about how people misuse the term AI. Probably not, Asus share market is so small compared to Samsung's. Another example is OnePlus or OPPO with their blatant design copy and we don't have any news of suing. IMO, unless they have more than 10-15% market share (excluding nation without IP protection like China), the suing war is unlikely to happen. I had a zenfone 2, it was great for awhile as it was only $200 but 1080p screen. The battery started to bulge and the phone would reboot or become unresponsive almost every other day. Its difficult to get warranty service in USA. "ASUS has supposedly implemented AI here, as part of its AI strategy, such that the system can use an onboard RGB sensor and apply screen color/brightness adjustments to react to ambient lighting." Its a buzz word now. Get used to it. All those your usual sensors with some tweaks and behaviour analysis are hyped as AI for the sake of marketing now, just get on with it. Both bezel and notch is insane. The notch creates more problems than it solves.